Whether you've been away one year or 20, we're delighted you're considering coming to Northern to finish your degree. If you've taken college classes in the past - but didn't complete a degree - you can finish here on campus, or from a distance through NSU Online & Continuing Education. Your degree is only a few steps away! Submit your transcript to the NSU Registrar's Office for a program evaluation to determine which courses will complete your degree. You're free to apply at any time, whether or not your program evaluation is complete. 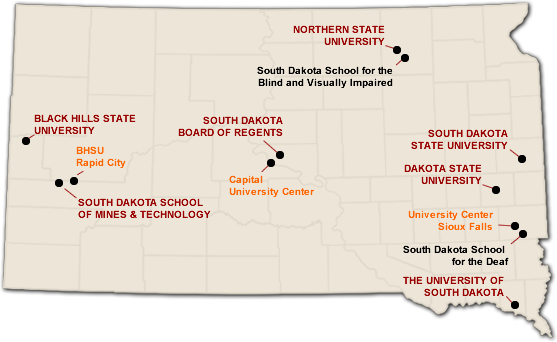 If you attended a South Dakota Board of Regents (SDBOR) institution within the last 12 months, apply with the Undergraduate Student Readmission Form. If it's been more than 12 months since you attended an SDBOR college or university, apply with the SDBOR Application. If you attended a college or university outside South Dakota, but would like to complete your degree at Northern, please contact NSU Admissions, 1-800-678-5330. We understand the prospect of returning to college can be daunting. At Northern, we'll be at your side to help ensure nothing will prevent you from achieving your educational goals. For immediate assistance and answers, please contact NSU Admissions, 1-800-678-5330; or request information. Welcome back! Request information on how you can complete your college degree!